I trust Vulcan to provide professional pest control services. Their staff are well informed. Will Berry is the representative that I have worked with. He's excellent and has been able to answer all of my questions. Bugs don’t stand a chance! Very informative, thorough service! Bugs don’t stand a chance! 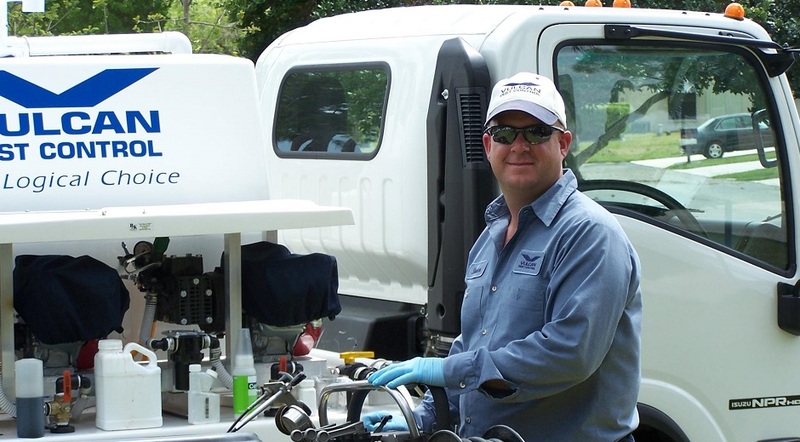 We had a problem with ghost ants (aka sugar ants) and Jeff of Vulcan Pest Control quickly and effectively took care of it. He was extremely thorough in locating the various paths the ants were taking to invade our home, laid bait in numerous locations and eliminated the problem. He also spent a considerable amount of time answering our questions and explaining how the insects are eliminated without toxic sprays in our home. We were very impressed with his service and would recommend Vulcan Pest Control to anyone in the Palm Beach County area. I use Vulcan Pest Control for 16 years , and I'm very happy . Is a great company. John is come once a month for 16 years and I could not ask for a better service. Don't go to any other place. Vulcan is the company for take a good care of you house, and be pest free. No need to look elsewhere. Vulcan has consistently been the best customer service company I've experience here in South Florida. These guys are really good.